#TWSelfie - Competition to WIN an Easter Hamper! Continuing the success to promote our customers, we are running another #TWSelfie competition! 30,000 connections we have through our social media platforms. 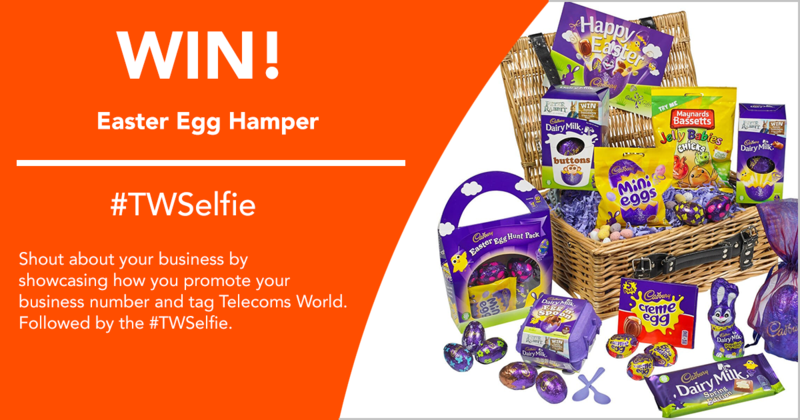 So, #TWSelfie is back with a competition to win a Cadbury's Easter Hamper in time for Easter! There is a whole list of places you could be advertising your number and we’d love to see it! Our competition is running from 1st March 2018 – midday 26th March 2018. The Easter basket is full of a delicious selection of Easter Cadbury chocolate. This exclusive Cadbury hamper also includes the NEW Dairy Milk Bunny with Popping Candy.